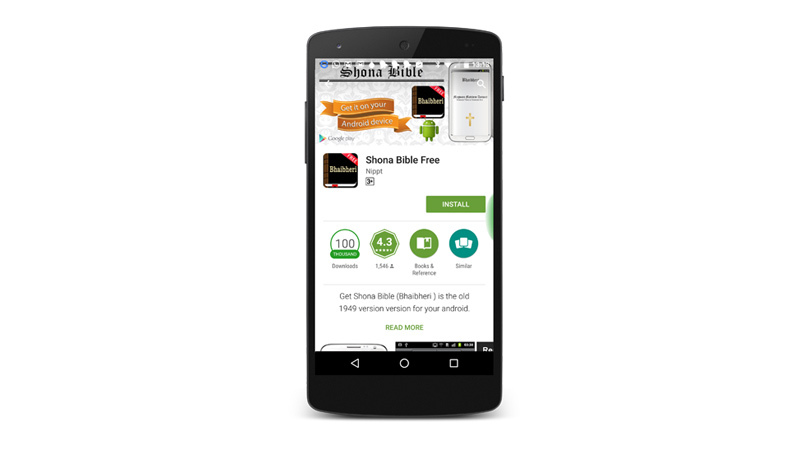 This article is an ongoing attempt to document Zimbabwean mobile apps with the most downloads in the Android store. The list by its nature is not comprehensive & we encourage anyone with additions to comment below to make the list of Zimbabwe’s most downloaded Android apps as comprehensive as possible. The list was compiled by Greg Kawere the CEO of Zivo Learning a language technology startup that develops language learning & translation tools. Antonyms App has 500 downloads. AntonymsAapp has more than 100 downloads and yet most the application on the list were not developed by Zimbabweans or in Zimbabwe. On twiggle I tried to find their android app but have’t found it. I heard they had 10 million downloads in the Nokia store, but since nokia was bought by Microsoft its now in the microsoft app store. That’s a difficult one but a good challenge we’d love to take on. Thanks. Google Play store has this facility through its top apps platform. The lists of most downloaded free apps, top grossing apps, among others, are dynamically curated according to country. Google opted to use this model because various apps are restricted in various countries. One way to verify this auto-curation is by comparing apps data in various countries. It’s also important to note one to give Google permission to use location for Goggle play to render curated apps data. What is your source ? CBZ Touch is grossly underreported. Just look for the CBZ touch app in the android store, you will see the figures from Google that are publicly available. Google provides a lover & upper limit so I just used the lower limit for all apps i.e https://play.google.com/store/apps/details?id=com.mode.cbz.ui (1 000 – 5 000) so i just used 1 000 figure. It’s not a margin of error fyi. It doesn’t hurt to have just put the range as shown on Google Play. Interesting to note that vernacular language apps are the most popular! Take that! Some time ago some people said its useless to have local languages being preserved or put online but look whose laughing now! Go vernacular! Vernacular language apps will really only be of use to people who speak and think in those languages. The sad thing is that they did not evolve with languages from the rest of the world. Take shona for instance. This language does not have its own words for modern items like “word processor”, “phone”, “computer” and the like. The other amazing thing is that shona people denote a plural by placing the letters “ma” before an object’s name as in “mabananas”. Therefore, when a shona wants to buy 5 bananas on the road, he asks for “5 “mabananas”. I think it would have been fair to list apps with the same downloads by their ranking. Some slightly higher ranked apps are at the bottom of the 10,000 download listing. Good compilation though!! By the way, some of the links to the apps are going through facebook first. I’m not sure if that was your intention. I have been thinking, are apps really relevant to the Zimbabwean ecosystem. Can one build a business around an app in Zimbabwe. Are there enough smartphones. Maybe people need to have web & mobile apps or maybe even a desktop software to make it work.